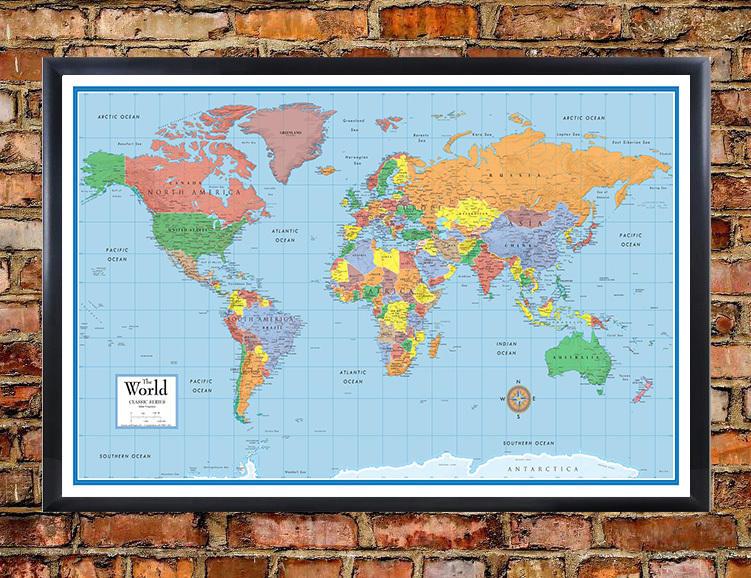 The Classic Elite Framed World Wall Map Poster Mural is available many sizes and wood frame colors to help make an attractive accent to any wall decor. 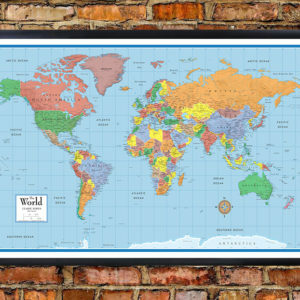 Get a better grasp on the world with the popular Classic Elite Framed World Wall Map Poster Mural. 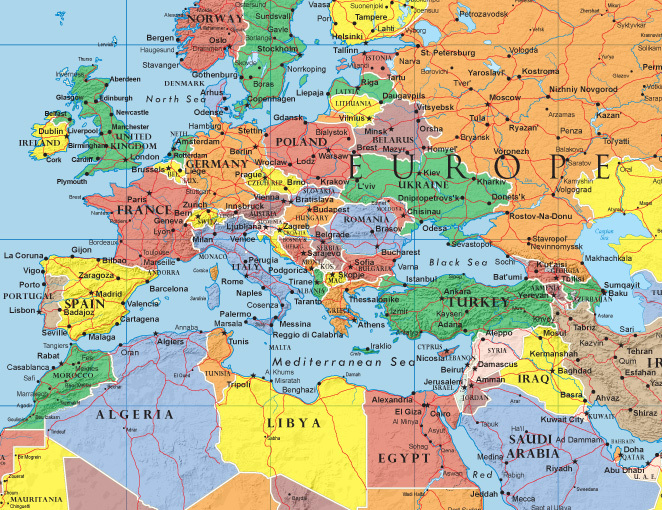 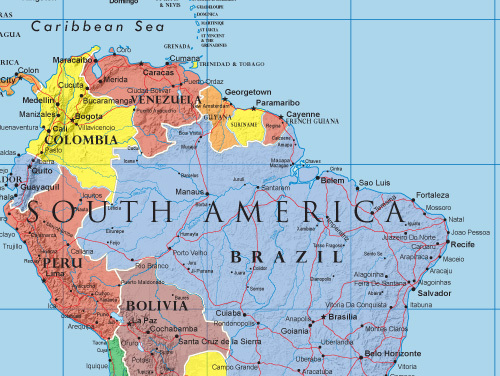 In these changing times, this updated map reflects what the world looks like now. 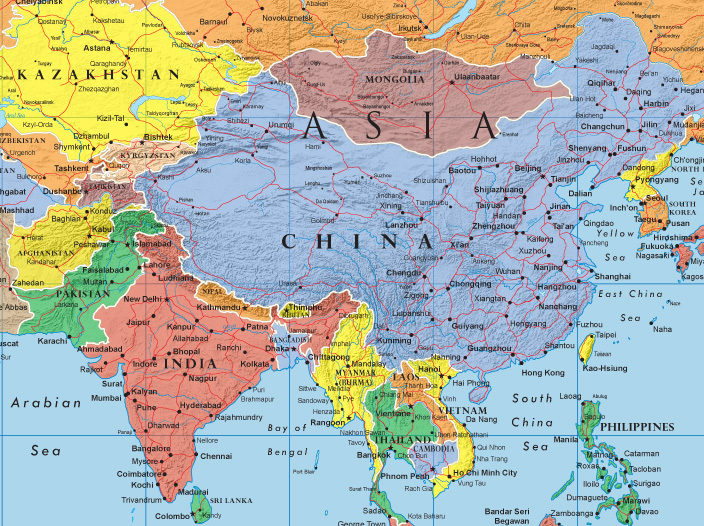 Bold colors help accent countries and political boundaries. 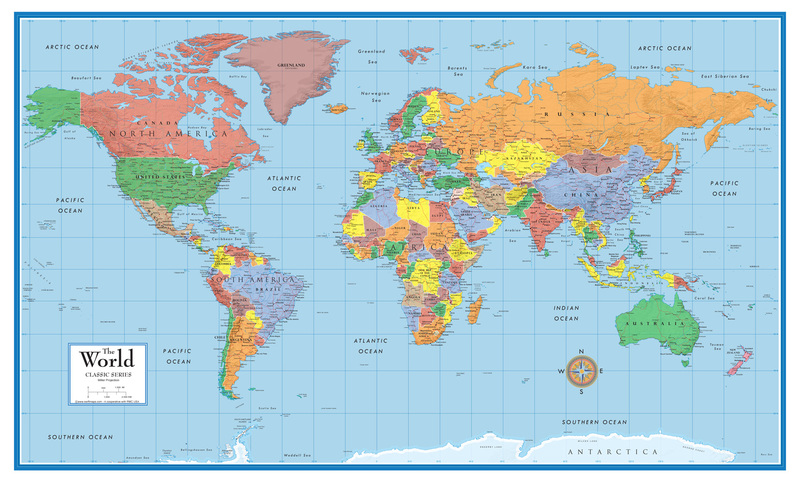 Frequent updates and reprints bring the most up-to-date information straight to your home or office walls.